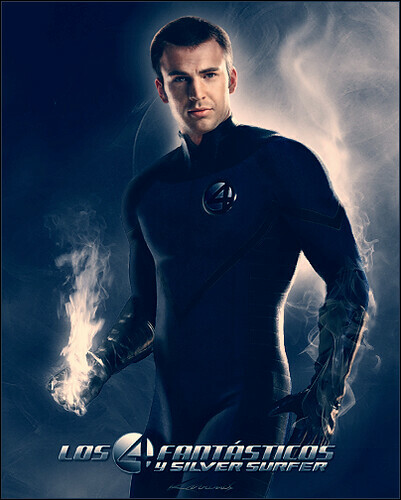 Actor Chris Evans played the Human Torch in the films Fantastic Four, and Fantastic Four: Rise of the Silver Surfer. A fun picture of the meeting of the Torches. Chris Evans and Michael B Jordan who will now have both played the flaming Fantastic Four member.